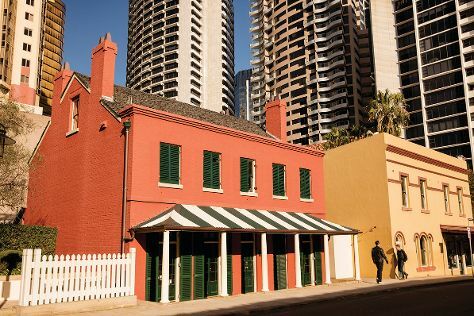 On the 24th (Thu), admire the natural beauty at The Royal Botanic Garden, then appreciate the extensive heritage of The Rocks, and then wander the streets of Darling Harbour. For more things to do, ratings, maps, and tourist information, go to the Sydney travel route planner . If you are flying in from India, the closest major airport is Sydney Kingsford Smith International Airport. In January, daytime highs in Sydney are 32°C, while nighttime lows are 23°C. Finish up your sightseeing early on the 24th (Thu) so you can travel back home.